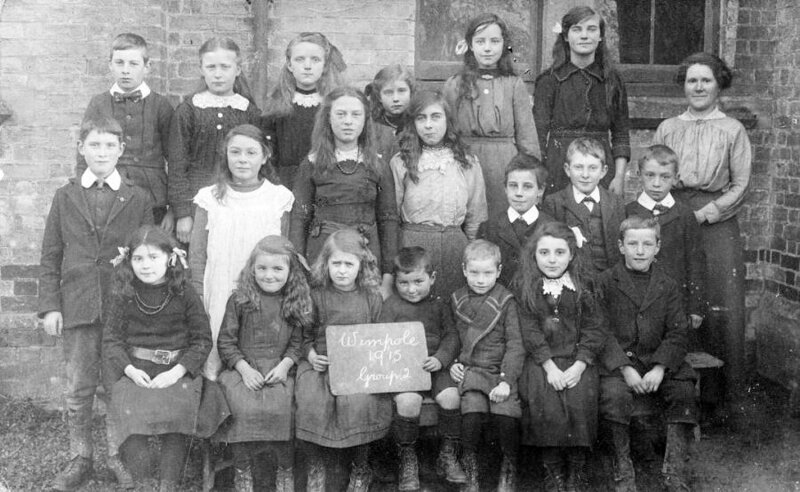 A group of 20 schoolchildren photographed at Wimpole School in 1915. The photograph was taken in front of the school building. Back Row (six pupils standing on a form, left to right): (boy), (girl), Ethel Skinner, (girl), (girl), (girl). Second Row (pupils standing, left to right): (boy), Gladys Franklin, (girl), (girl), (boy), (boy), (boy). Names provided by Mrs Jessie Bullen, donated by John Bullen 2001.
any other information about Wimpole School around that time.